When any trusted local or general leader in The Church of Jesus Christ of Latter-day Saints falls away from gospel truths or standards, it may cause faithful members who are aware of the situation to feel unsettled, uncertain, or confused. Why would God, who knows both the past and the future, allow someone who is secretly unworthy (or who will become unworthy during the course of his or her calling) to hold a high and sacred position in Christ’s true Church? While possible answers to this question are probably as unique as the various circumstances in which any case might arise, the Book of Mormon offers some divinely revealed insights on this topic. The prophet Lehi taught that because of Christ’s redeeming Atonement, the children of men “have become free forever, knowing good from evil; to act for themselves and not to be acted upon, save it be by the punishment of the law at the great and last day” (2 Nephi 2:26). Christ surely wants His Church to be filled with righteous members and leaders, but He also values each individual’s freedom to choose between good and evil. In fact, the very ability to choose wrong is what, according to Lehi, makes choosing right even possible. Without these opposing options, “righteousness could not be brought to pass, neither wickedness, neither holiness nor misery, neither good nor bad” (2 Nephi 2:11). For this reason, the Lord wisely refrains from exerting absolute preventive or corrective control over His children’s agency, even the agency of those who hold prominent callings within His Church. While personally ministering among the Nephites, the resurrected Savior warned, “Beware of false prophets, who come to you in sheep’s clothing, but inwardly they are ravening wolves” (3 Nephi 14:15). When church members in Zarahemla were falling into sin, Alma similarly taught that “the good shepherd … commandeth you that ye suffer no ravenous wolf to enter among you” (Alma 5:60). Why are these ravening wolves described as being in “sheep’s clothing?” It is because they seem, on the outside at least, to be faithful members of the flock. The very fact that Christ warned against such deceptive individuals suggests that members of His Church shouldn’t be overly surprised or shocked to discover that, from time to time, a ravening wolf is found among the sheep. This knowledge does not make feelings of loss or betrayal any less real or heartbreaking. But it can bolster one’s faith to know that God is aware of and has prepared for such situations among His people. Still, some may wonder how an individual who is secretly guilty of serious sins can sometimes deceive so many righteous members and leaders in the Lord’s Church. Shouldn’t the spiritual gift of discernment, which is promised to Christ’s faithful followers, prevent such deception (D&C 46:27)? A survey of Nephite history suggests that the Lord’s choice about if, when, and how to intervene in such matters depends on the particular circumstances of a given situation. In some cases, the gift of discernment or other forms of divine intervention do in fact prevent serious sin and abuse (Alma 19:22). But at other times the Lord allows the wicked to “have joy in their works for a season” before causing them to suffer the consequences of sin (3 Nephi 27:11). The Lord similarly chose not to prevent Corianton from committing iniquity while he served as a missionary among the Zoramites.3 Corianton was the son of Alma, who was the Lord’s high priest and prophet at the time. When lovingly correcting his son’s misbehavior, Alma explained that when the Zoramites saw Corianton’s “conduct they would not believe in [Alma’s] words” (Alma 39:11). 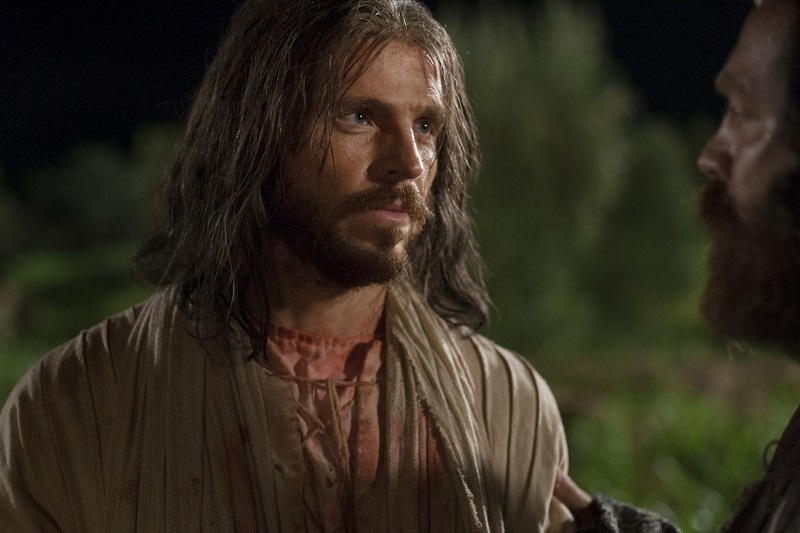 Perhaps some wondered why Alma, if he was truly a prophet, felt inspired to let his son serve a mission in the first place. In this case, the Lord mercifully granted Corianton time to change. He repented and faithfully resumed his missionary service (Alma 49:30). Judas betraying Jesus Christ. Image via LDS Media Library. It should be remembered that even Christ Himself called someone to a high position of authority who eventually fell into apostasy. Christ selected Judas Iscariot to be one of His apostles (Matthew 10:4), and Judas ultimately betrayed Him “to be crucified,” just as Jesus had prophesied (Matthew 26:2). Why is it that God doesn’t always prevent Church leaders or other prominent individuals from committing sin? We don’t always know why. But we can still “believe that he has all wisdom, and all power, both in heaven and in earth; [and] that man doth not comprehend all the things which the Lord can comprehend” (Mosiah 4:9). When God does intervene, it is often only after He has allowed sinful individuals to fully exercise their agency—whether unto repentance, as in the case of Corianton (Alma 49:30), or unto destruction, as in the case of King Noah (Mosiah 19:20). Whatever the Lord’s own plans or timing for divine intervention may be in any given situation, all members of Christ’s Church, and especially those with sacred leadership callings, have a responsibility to help prevent abuse or grievous sin.4 As the Lord told the members of the church in Zarahemla, the Good Shepherd “commandeth you that ye suffer no ravenous wolf to enter among you” (Alma 5:60; emphasis added). Likewise, the Lord has commanded priesthood holders in our own dispensation to “see that there is no iniquity in the church” (Doctrine and Covenants 20:54). Clearly, rather than using divine power to forestall all possibility of iniquity from within His Church, the Lord places responsibility upon its members and leaders to respond appropriately to grievous sins when they are discovered.5 Thankfully, such tragic circumstances in the Lord’s Kingdom are quite rare, and the vast majority of Church leaders are indeed worthy of their callings. The Last Judgment by John Scott. In those rare cases of hidden ecclesiastical abuse or deceptive apostasy, Christ’s followers can fully trust that the Lord, in His own time and way, will eventually “reveal the secret acts of men” (Doctrine and Covenants 88:108–110). At the final day of judgment, their own words will condemn them, all their works will condemn them, and their thoughts will also condemn them if they refuse, before that day, to repent (Alma 12:14). Then an abundance of wheat shall be joyously gathered in and fully separated from those tares that had been sown by the Evil One while workers were not watching (Matthew 13:24–30). Until that day of the Lord, members of His Church can press forward in full faith, trusting in the Lord’s ongoing process of purifying His people and preparing them “to dwell with God in a state of never-ending happiness” (Mosiah 2:41).